Together, these services comprise a full-service, one-stop office for all your real estate needs. Whether you’re moving across the country or just down the street, need help obtaining the perfect commercial, investment or vacation property, or need appraisal or lending services, I invite you to discuss your detailed real estate needs with one of our highly experienced real estate professionals. I guarantee you will receive sound professional advice delivered with unsurpassed service! We recognize buying or selling a home can be one of the most important events in our clients’ lives and our goal is to make that experience remarkably smooth. We know we’ve succeeded when our clients come back to us – ready to buy or sell again! Recommendations from satisfied clients are the basis of our company and we give each referral the outstanding professional, knowledgeable, and exemplary service we’re known for. Whether you own one investment property or 100 rental units, or have moved and are renting your home until the property is sold, our Property Management division can structure a portfolio of Property Management Services to fit your individual needs. Call today for more information. 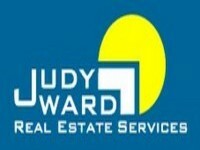 Judy Ward Appraisal Services is an independent residential real estate appraisal firm specializing in single-family real estate appraisals in the Burleson/Johnson County and Tarrant county areas and the surrounding suburbs. We blend personal service with technology to provide detailed appraisals completed quickly. We provide real estate appraisals for mortgage, relocation, refinance, PMI (mortgage insurance) removal, divorce, home improvement, home equity, estate, trust, insurance, tax appeal, and prelisting appraisal purposes. With the phenomenal growth in the Burleson and Johnson County areas, it pays to have experienced commercial real estate sales and leasing on your side! Our commercial experience is unsurpassed in the area with over 20 years’ experience across the Southwest in shopping center sales and development, lease space negotiations, and commercial property investment. If you're planning to sell your home in the next few months, this FREE service is designed to help establish your home's current market value. Simply choose [Market Analysis] and fill out the requested information. We will use comparable sold listings to help you calculate the fair market value of your home. Also, be sure to visit our Newsletter to view other valuable information!